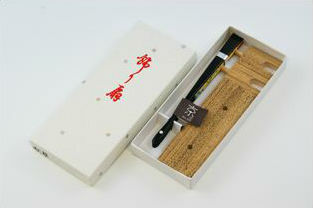 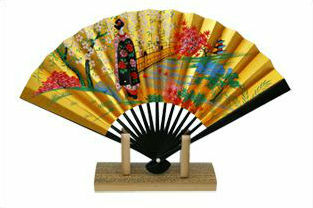 Hand-made Japanese Dance Fans, as used by ’maiko’ and ’geisha’. 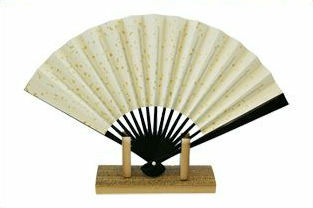 Gorgeous ornaments for your home or office, each folding fan comes with its own storage case and display stand. 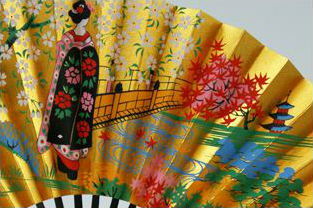 This fan is reversible, with an elegant maiko as well as cherry blossoms, maple leaves and flowers against a gold background on one side, and a simple blossom themed design on the other.